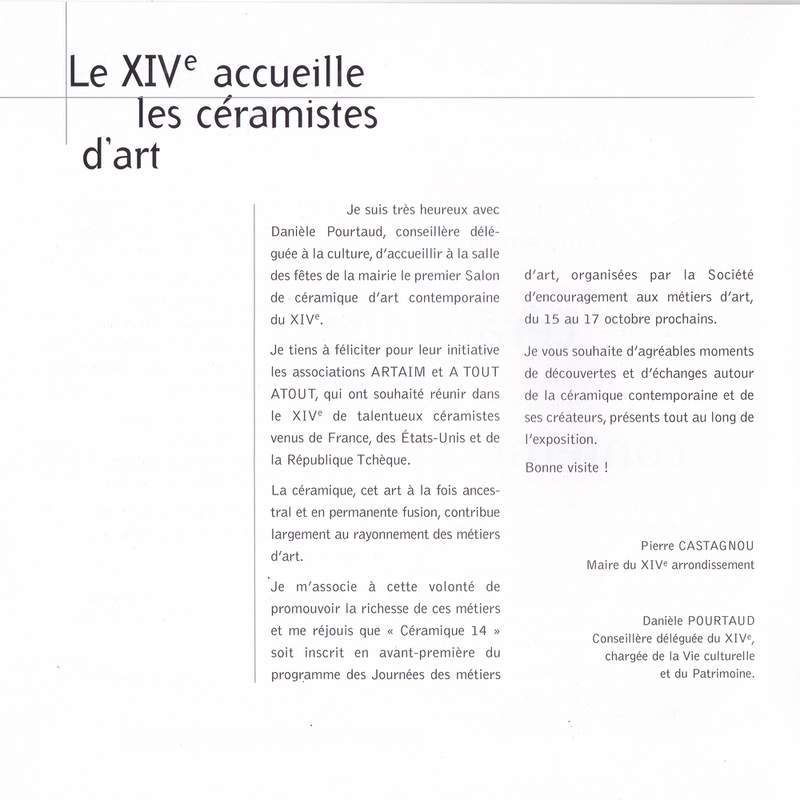 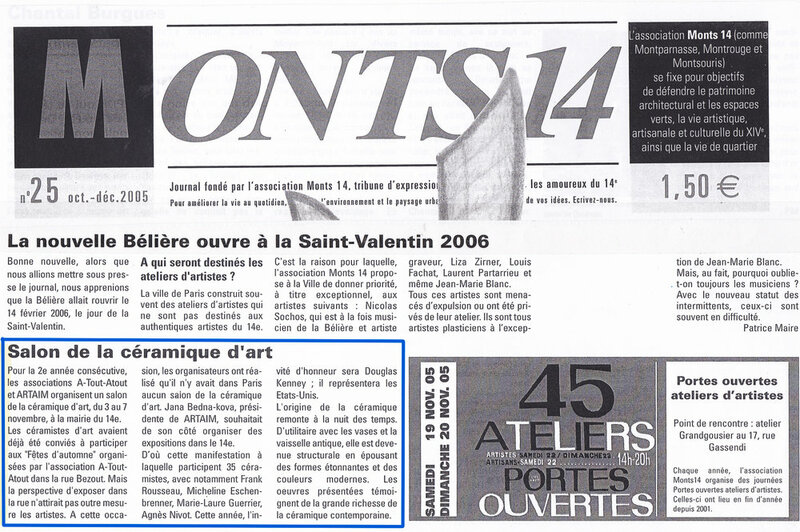 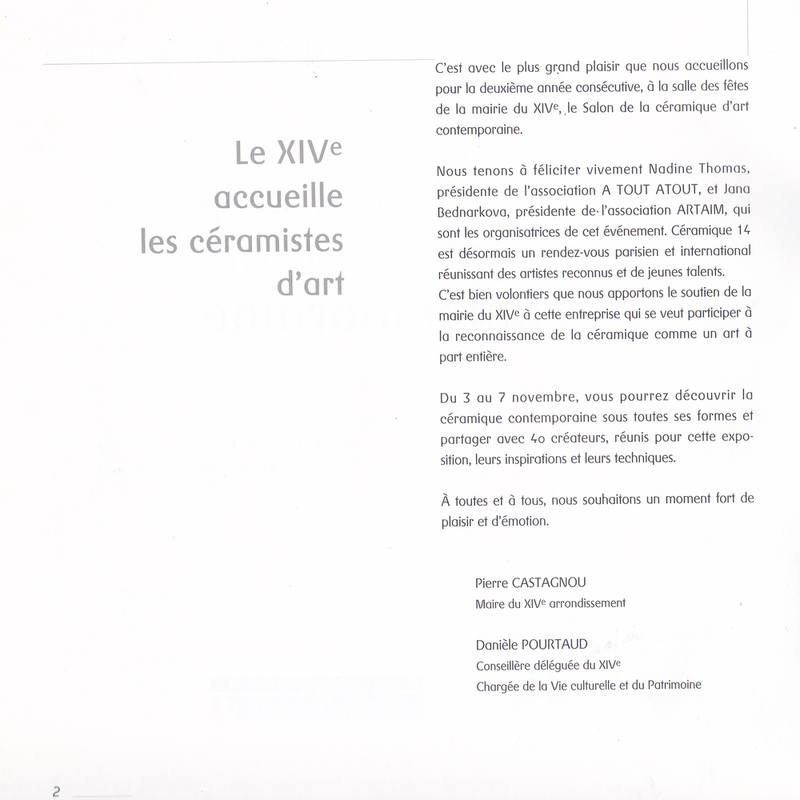 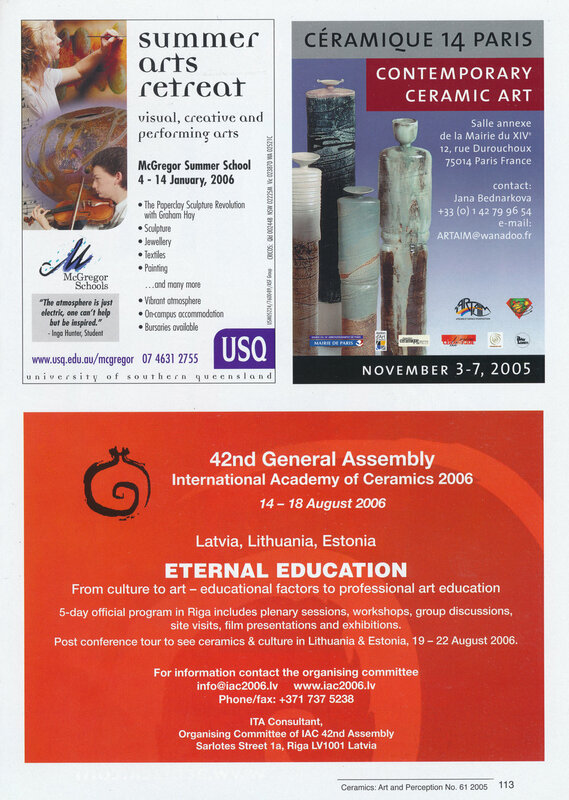 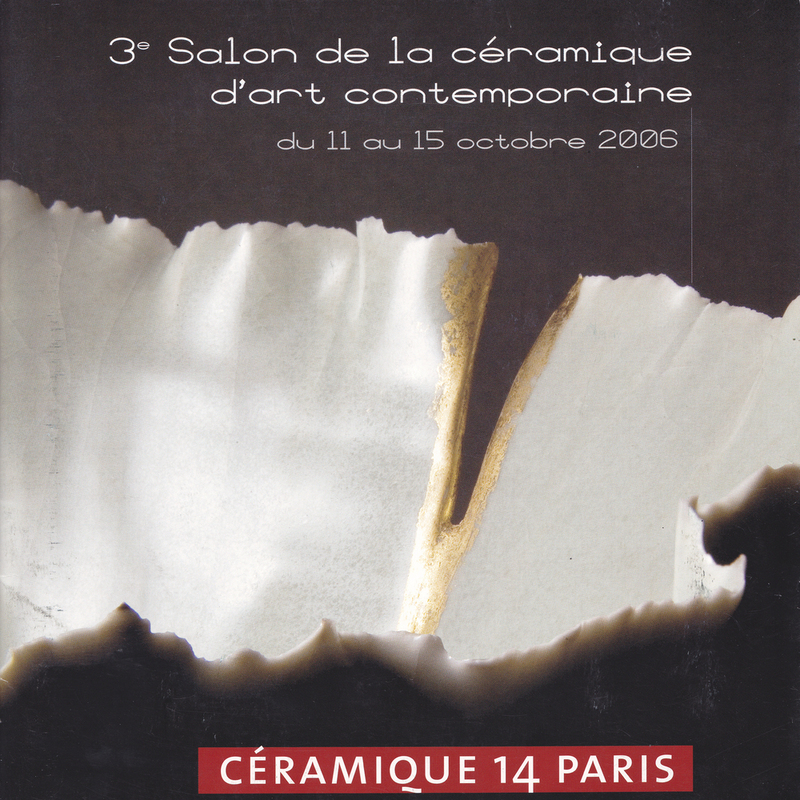 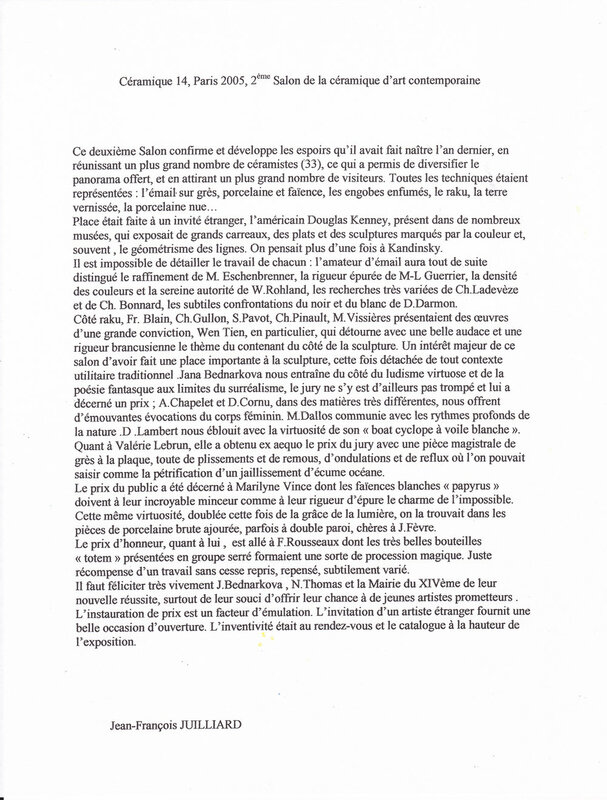 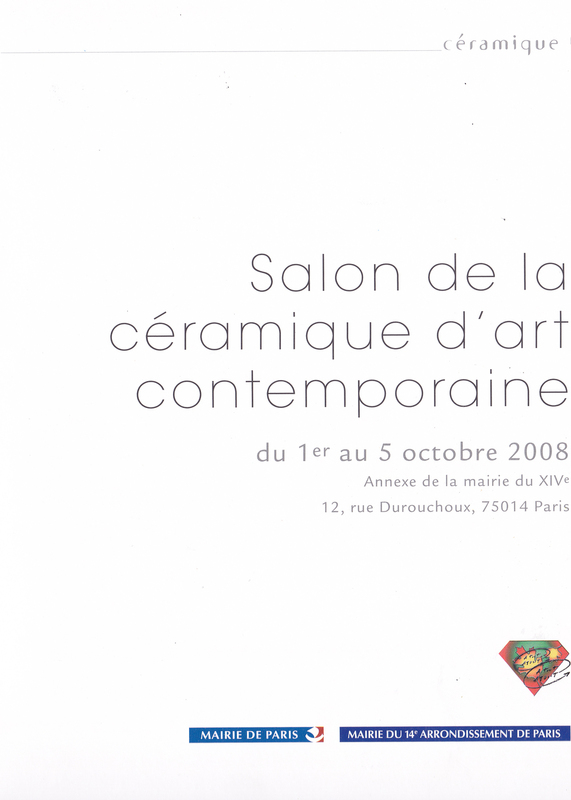 2004 Jana Bednarkova – President of Association ARTAIM and Nadine Thomas – President of Association A TOUT ATOUT founded and organized the first Contemporary Ceramics Salon in Paris “Céramique 14 Paris”. 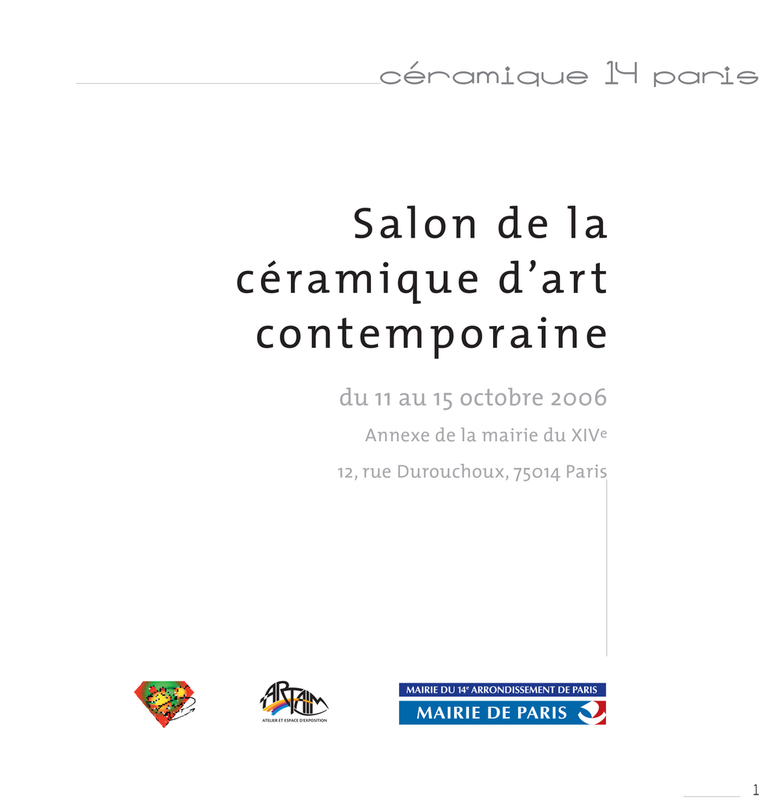 Jana Bednarkova Kenney founded with Nadine Thomas the Céramique 14 Paris exhibition and organised the show for the first five years. 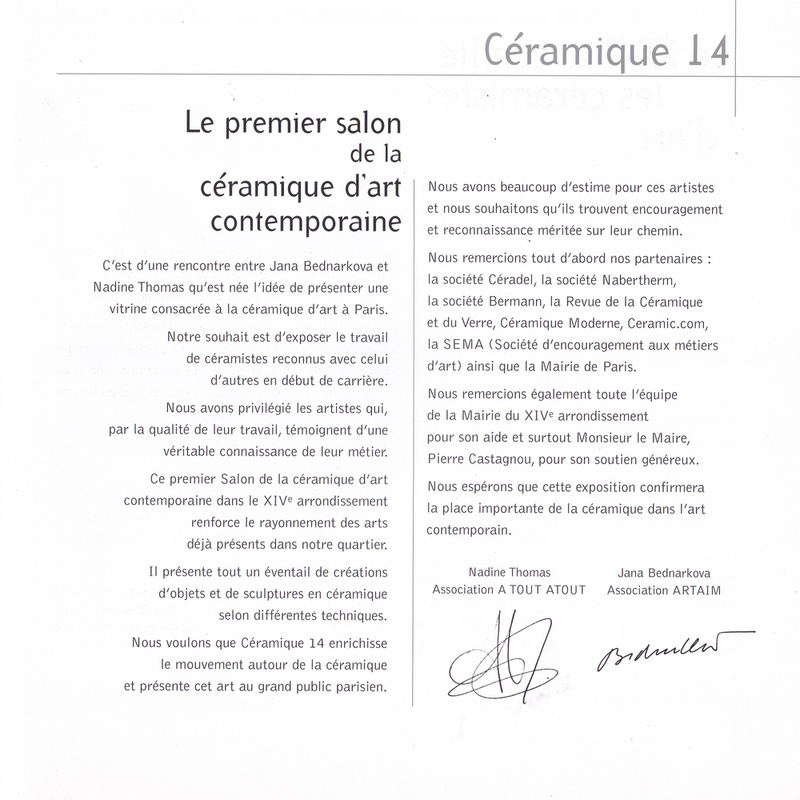 The “Céramique 14 Paris” is the first Contemporary Ceramics Salon in Paris founded and organised by Jana Bednarkova – President of Association ARTAIM and Nadine Thomas – President of Association A TOUT ATOUT, with an generous support of Mairie du 14eme arrondissement of Paris. 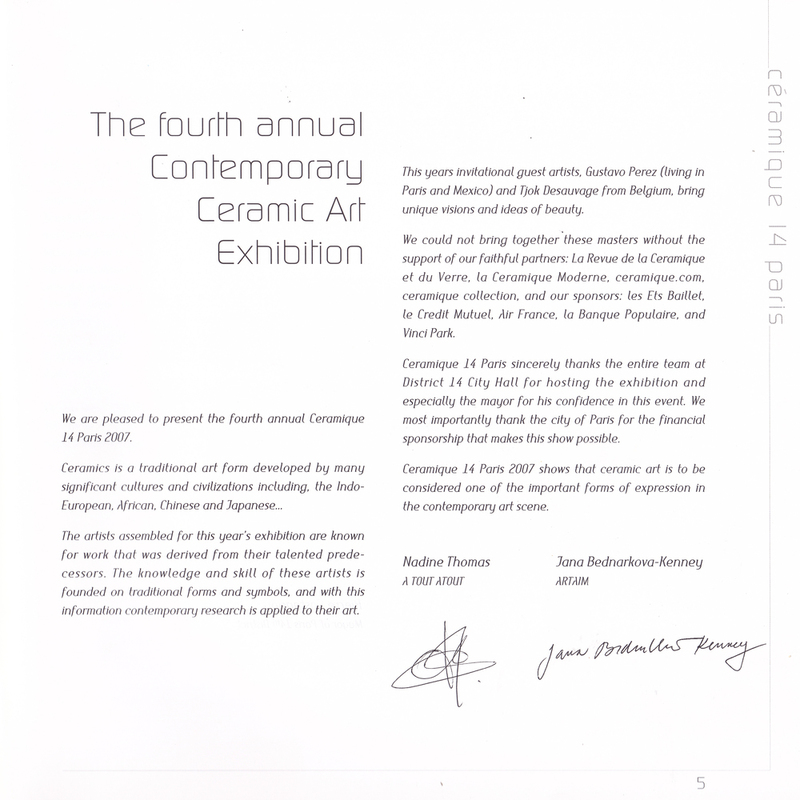 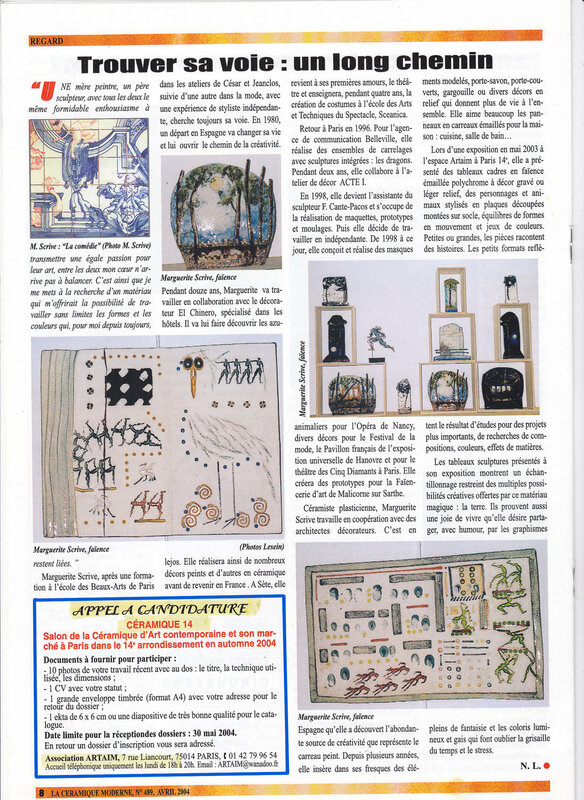 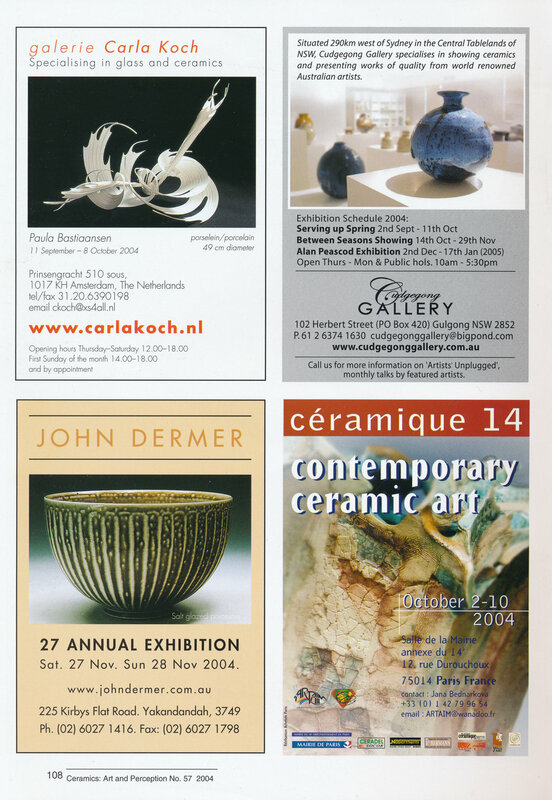 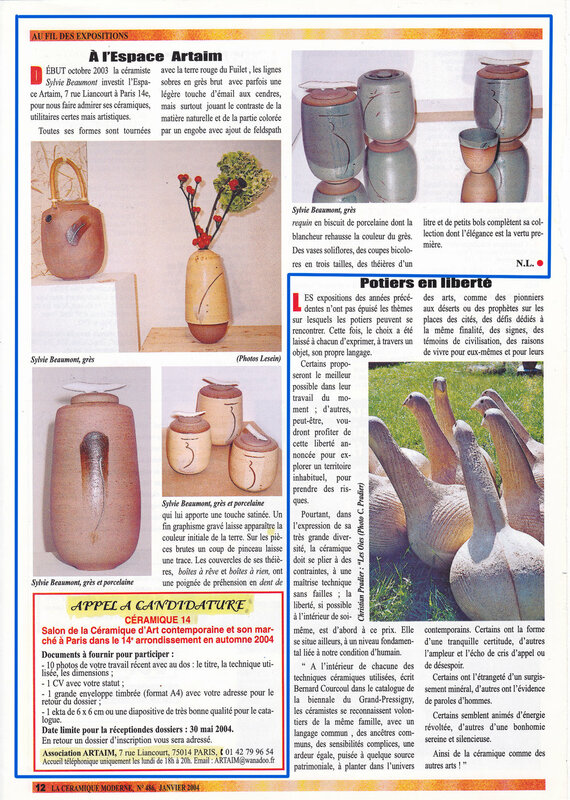 It is an important contemporary ceramic group exhibition in Paris, held annually. 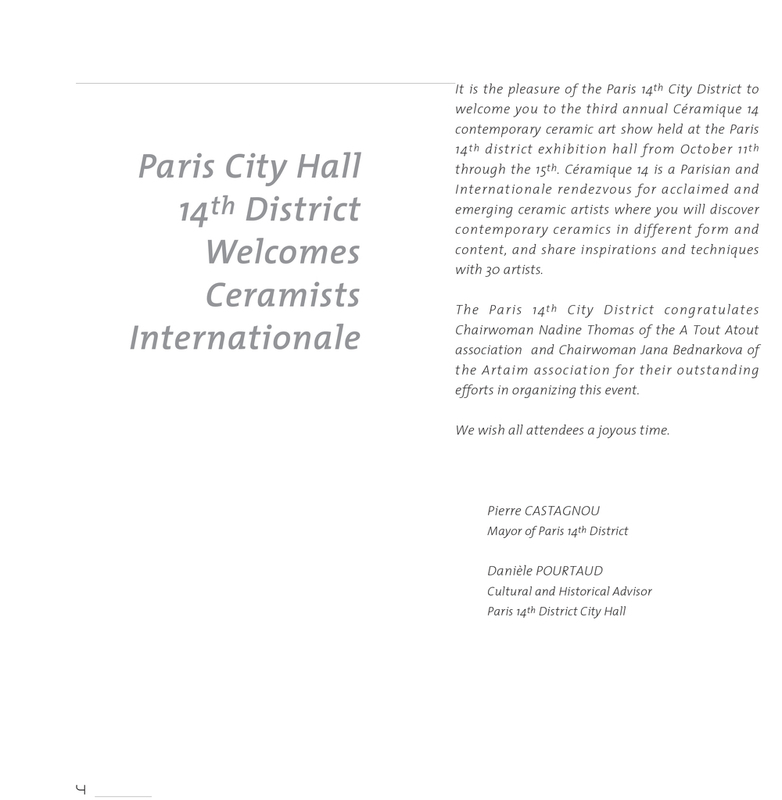 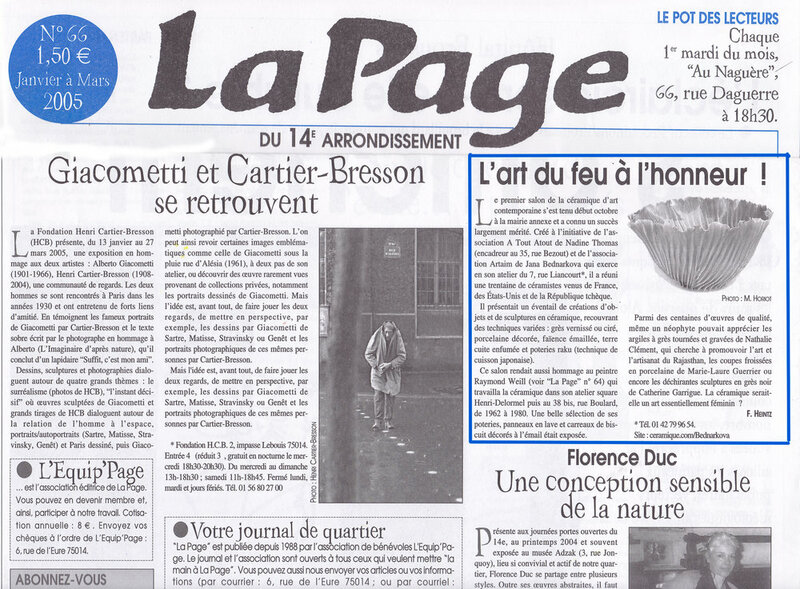 The City of Paris helps sponsor the event with a grant of 10,000 Euro. 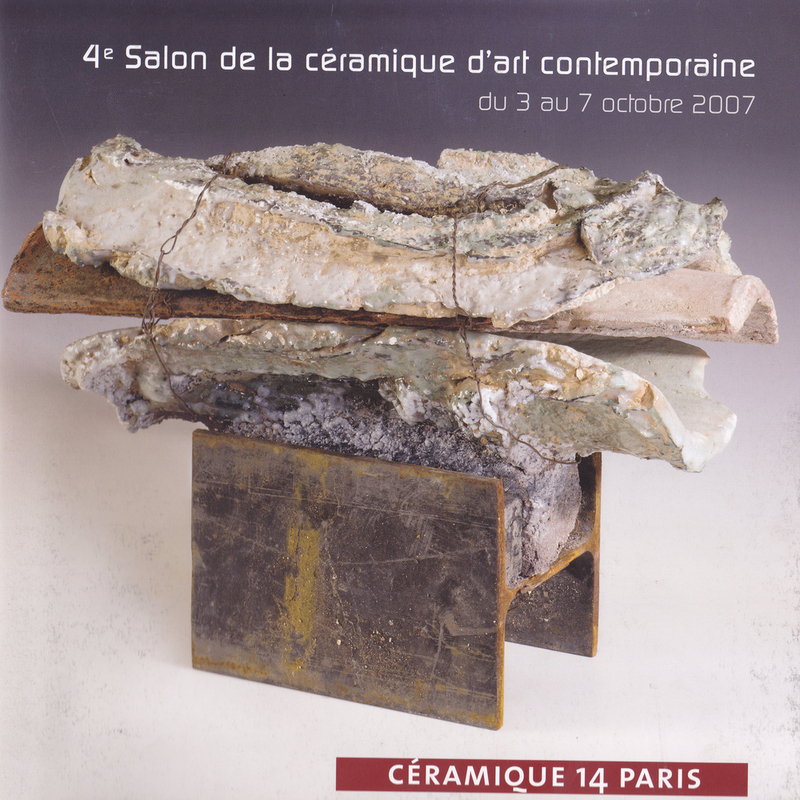 This juried show of 30 ceramists, primarily French, and a few select Europeans provides a venue for ceramists to market their art directly to the public. 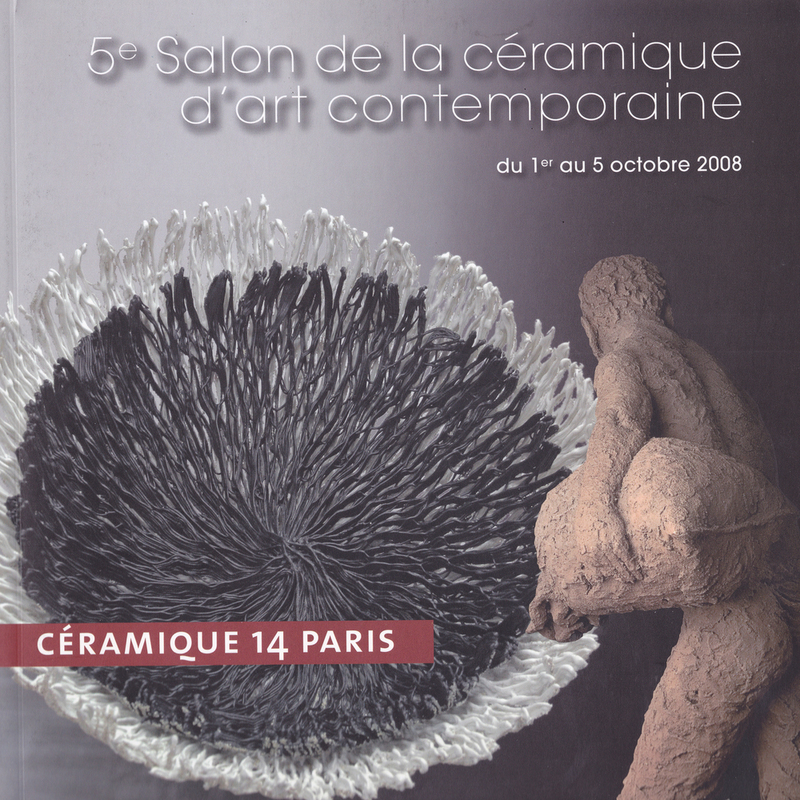 A full color catalog of the exhibition participant’s art is printed every year.